Emma Govan lectures in drama and theatre at Royal Holloway, University of London. 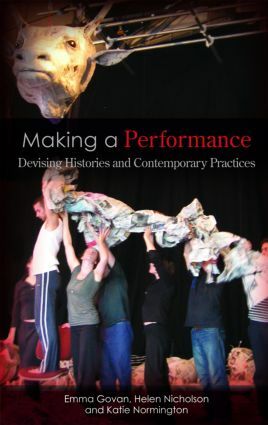 Her particular research interests are contemporary practice and applied theatre. She is currently completing a book on Theatre in Health and Care. Helen Nicholson lectures in drama and theatre at Royal Holloway, University of London, where she specialises in contemporary performance-making and applied theatre. She is co-editor of the journal Research in Drama Education, and her book, Applied Drama: The Gift of Theatre, was published in 2005. Katie Normington is Professor of Drama at Royal Holloway University of London. Her research interests span both medieval and contemporary drama. Recent publications include Gender and Medieval Drama (Boydell and Brewer, 2004) and Modern Mysteries (Boydell and Brewer, forthcoming). She has written for New Theatre Quarterly on contemporary applications of Meyerhold and directing practices.